She has her clients focus on keeping objects that make them smile. They are encouraged to ask “does it cause me stress?” “Have I worn it/read it/used it? Is it important – to me?” In the show, she has people empty their dresser drawers, closets and other areas, by category, then handle each item to determine if they should keep it by asking these questions. 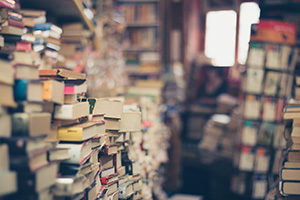 For books, she has them tap each pile of books to “wake them up” – in other words, to rouse the kami, or spirit of the object so you can sense your connection to it. Maybe some of your books just don’t wake up. Or perhaps it was from a book club and you hated it. Is that statistics textbook sitting on your shelf – the one from the class you snoozed through? What about that book you got as a gift and never read? Maybe you have DVDs that make you cry every time you watch them – and not in a good way. Well, HRWC is here to help through our partnership with Ann Arbor-based Books By Chance. Bring your books to HRWC and we will hand them over to Books by Chance so they can sell them.  HRWC benefits too because we get a portion of the proceeds. Over $40,000 has been raised from this program for our science, education, and advocacy work since 2006. You can tidy, spark joy, AND give back to your favorite local watershed organization. It is important to note that Books By Chance cannot sell books that are not in good condition. 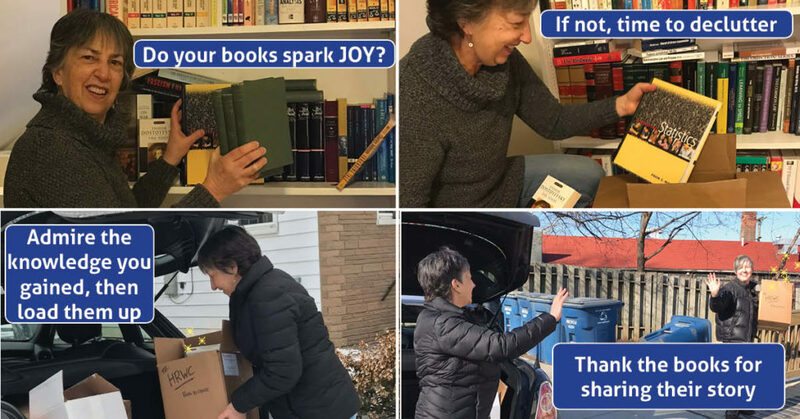 So if your books are not waking up and sparking joy because they are old, smelly or damaged, please recycle or discard them instead. Restrictions and other Books by Chance guidelines can be found here. Please check them before bringing in your spark-free books. To donate your books, CDs and DVDs, contact Rebecca Foster at 734-769-5123 x 610 or email her here to schedule an appointment – we want to make sure we have staff on hand to take delivery. Drop-off days are Monday, Wednesday and Thursday from 9-4.